The Diaper Bag Green Label Hobo Bag Rosewood is a stylish, sustainable companion for moms who prefer subtle, yet fashionable accessories. The diaper bag contains a well-organized inner compartment. Product information "Green Label Hobo Diaper Bag, Rosewood"
The Green Label Hobo Bag from LASSIG, available in two soft pastel colors, is another new Green Label product. 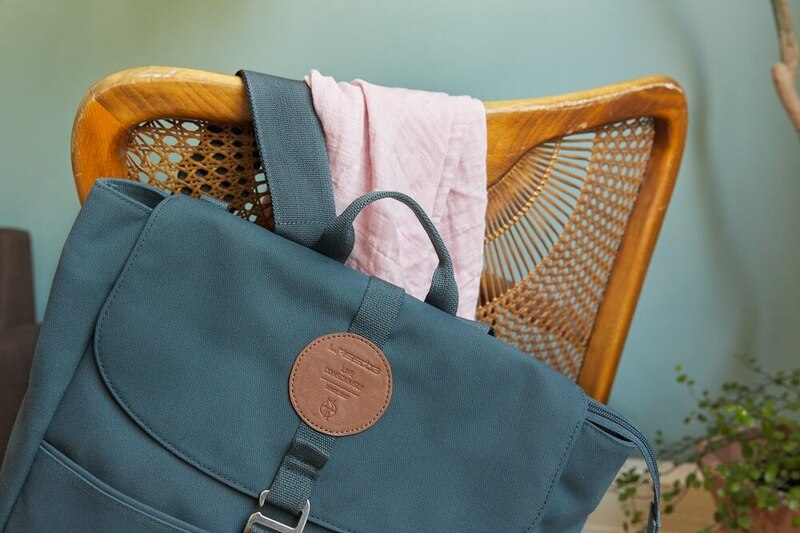 The diaper bag is a stylish, sustainable companion for moms who prefer subtle, yet fashionable accessories. It features two ways to access to the main compartment: an opening at the top and a zip fastener on the side to allow easy access to the main compartment without having to remove the bag from your shoulder. The bag includes an additional adjustable shoulder strap for casual wear and stroller attachment. The diaper bag contains a well-organized inner compartment consisting of large storage compartments for diapers, bottles, etc. There is also a suitable spot for a smartphone, and an additional snap hook allows you to find your house key quickly. These features make this visual trend-setter a perfect companion for more than just the parenting years. It can even be used in the future as a shapely handbag.